The Iranian president is making new shockwaves at a time when world is trying to seek more support for peace around the world and region close to Middle East is struggling to help earthquake survivors. At a time when Iran is looking forward to garner more support for its nuclear program Ahmadinejad's remarks are highly immature and insensible. He has swept aside all the good work Mr. Mohammad Khatami had done in past to bring Iran close to its western allies. Surprisingly, US and Israel have shown a calm over his comments as well as the Arab world. The immediate response has come from Kofi Annan, Tony Blair , French President Jacques Chirac and Ahmadinejad's former presidential rival Akbar Hashemi Rafsanjani. 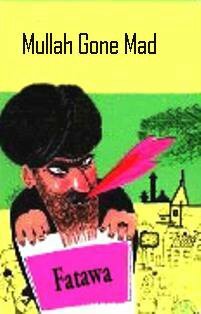 Rafsanjani insisted: "We have no problem with the Jews. Our issue is Zionism which is only a limited part of the Jewish society." India's response is hilarious: On one hand it does not want a tougher action against Iranian nukes on the other she is trying to seize the opportunity and has started a blame game against Pakistan. India has opened his guns on Pakistan accusing of nuclear proliferation at a time when it is trying to manage the earthquake disaster at home. Iran has done this before in case of Salman Rushdie and I hope it will not be more than rhetoric this time as well. They may take back their threat the way they did with Rushdie's fatwa. They should remember it took years before they were able to normalize relations with the West. On the other hand I am thinking it is a type of rhetoric that North Korea has resorted to get economic benefits in return. The US has not shown any response yet. GOP is embroiled with problems in its administration and Harriet Miers's withdrawl has become a big embarassment along with Libby Scooter and Delay's indictment (Putting some steam on Iran may provide them an opportunity to divert attention from Scooter indictment and Mier's withdrawl). However, declaring a war on Iran may complicate things for GOP more than ever. I am subscribed to Washington post, NY times, LA Times and the Economists headline news in e-mail. For last two days the stories ranged from CIA leak, Iraq, to North Korea and Syria. However there was no mention of Iran and Ahmadinejad's remarks. It may be a lull before storm. If Iran is going to adopt a collision path economic growth process in neighboring countries will greatly suffer. India is looking forward to gas pipe line through Pakistan to fuel its economic growth. The Pakistan on the other hand will benefit from commission it can receive in return. Pipe line and earthquake in Kashmir can bring two countries together. However, at the moment it seems like everything is running downhill. At this moment the things are heading in a direction which may result in a bigger war in this region that can encompass Iraq, Iran and Syria. Let's hope it does not happen because the only one who is going to suffer is people especially, women, children and older ones. Iran's hardline president has defended his call for Israel to be 'wiped off the map' despite an escalating international outcry, as tens of thousands of Iranians rallied to condemn the Jewish state. It was also a major departure from the reformist presidency of Mohammad Khatami, who had toned down anti-Western rhetoric and sought to bring Iran out of international isolation. His comments have been hugely damaging for Iran's image. The country is already under intense Western pressure over its nuclear energy program -- suspected as being a cover for weapons development -- and facing the prospect of seeing the issue referred to the UN Security Council.